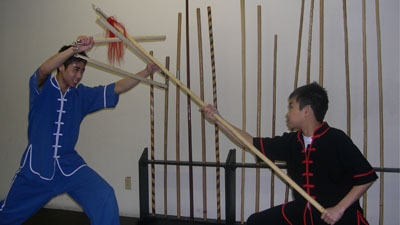 Our Martial Arts programs included Wing Chun, Jow Ga and Tai Chi styles as handed down by the original masters. In addition to promoting physical and mental well-being for children and adults, our martial arts programs allow students to learn self defense, build confidence, discipline and leadership skills as that they can apply in every facet of their lives. Our one-on-one approach focuses on each student's needs and learning abilities while empowering them with the skills necessary to succeed. Whether you are a novice or experienced martial artist looking for fitness, self-defense, or in-depth study, there is something to fit you at Chan's Kung Fu School. 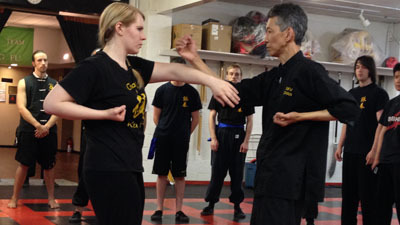 Master Chan has been teaching martial arts in Grand Rapids, Michigan for over 40 years. Please visit our pages below to find the classes that fit you or your family, or simply stop in during our business hours to meet Master Chan or to speak with one of our instructors. 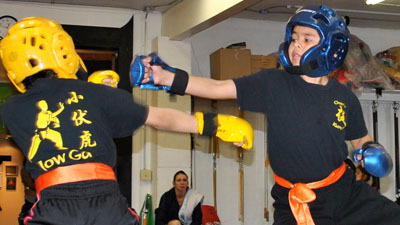 Our Youth Kung Fu programs are designed to help encourage and build each child’s self-confidence while instilling discipline and structure through physical and mental fitness. Class are available for children as young as 6! Wing Chun is a close quarter fighting system that teaches students how to quickly neutralize threats and defeat opponents much larger than themselves, even in narrow, confined spaces. Jow Ga is a traditional Kung Fu system that places an emphasis on footwork, speed, and blitz attacks. It includes the renowned Five Animal techniques and over 18 different weapon sets. The perfect choice if you’re looking for traditional training or want to get in shape. Get in shape while learning self defense. Our women self defense and fitness program utilizes the most current methods available to help teenagers and adults deal with the challenges of living in today's world. 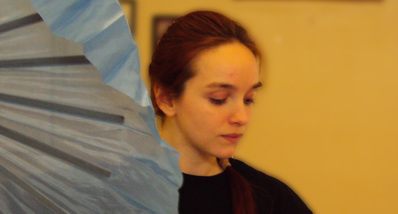 Our self defense technique based on a style of Chinese martial art "Wing Chun", developed by a woman. Training included striking, kicking, punching bag drills and cardio exercise. For well-balanced, low impact exercise, look to our Tai Chi classes. Tai Chi lowers stress while strengthening the muscles and joints and promoting flexibility, balance, and increased mobility. Gift Card available from our School.